12" overall. 5 3/4" 1095 high carbon steel blade with black traction coating. Full tang. Black linen Micarta handles. Lanyard. 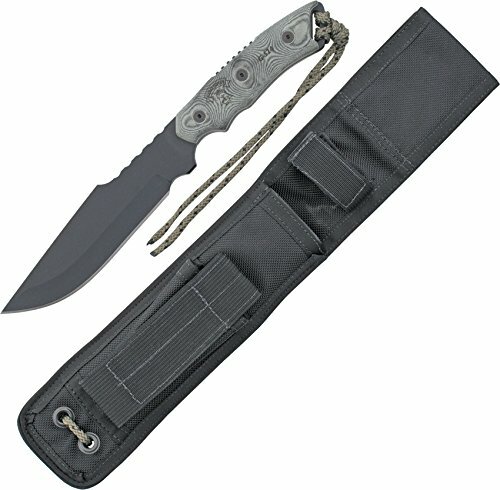 Black heavy nylon belt sheath with storage pocket.